Helical Ceramic Heating – Using our uniquely designed heating chamber, the vapour follows a helical path giving conduction and convection together for the perfect hit. Using our technology the device heats faster and gives a smoother vape than any other pen style vape on the market. Finally you can enjoy the full fresh flavour of your herbs in your Crafty or Mighty vaporizer with this unique glass mouthpiece from Easy Flow. The kit includes a glass swival mouthpiece and a set of two silicone gaskets, allowing the user to replace the Crafty or Mighty's stock plastic mouthpiece with one that cools your vapour as you inhale, delivering a fresher, tastier experience. “I have an effective age verification process that satisfies due diligence as described in the Business Companion guide for online age verification checks and I will not sell to persons that are under 18 years old”. Xmax Starry V2 Now Only £64.99 ! Xmax Starry V2. Authorized Distributors of Xmax Products. Xmax Starry V2 Vaporizer (Black). Grab a Bargain. Temperature Conversion between C and F. Upmarket Hybrid Vaporizer. Mig Vapor's newest creation gives you intensity, sensation and flavour that you'd get from the expensive vaporisers for just the fraction of the price. Mig Vapor Dray (Dre) dry herb vaporizer. 1 x Dray (Dre) vaporizer. Black Mamba BLK Vaporizer | AUTHENTIC Kington* | 1st Class Post | Free UK Plug! TheDABOX has been specially designed for wax material. With 40 Watts of instant power you will have the most intense vaping experience possible. The DABOX is constructed from thick stainless steel and has a solid weight and feel to it. Sapphire's easy one-button operation allows the user to choose from five temperature settings between 180C and 220C, heating up in under a minute. Sapphire Vaporizer by Storm. Sapphire by Storm is a high-quality, no-nonsense pocket-sized vaporizer for dry herbs, concentrates and resins. 1 x Spirit by Storm Portable Vaporizer. It has an ingenious Ceramic Zirconia mouthpiece and filter, which will disperse most of the heat out of the vapour before it reaches your mouth. This kind of technology, which will ensure you get the coolest and smoothest vapour, is usually available only on far more expensive vaporizers. Xvape Fog Now Only £69.99 ! Xvape Fog Vaporizer (Black). 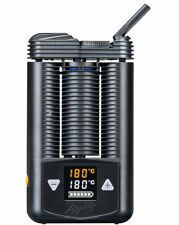 Dry Herb and Concentrates Convection Vaporizer. Upmarket Hybrid Vaporizer. Fast Heating 10 Seconds. Quality Vaporizing at a Reasonable Price. 1 Herb-e Micro Vaporizer. Mig Vapor Herb-e. A discreet yet powerful dry herb vape pen. Light, small and discreet. Flashing lights inform when ready. Choose the happy 'yellow eye' mode for a more relaxed experience or go all out with angry 'red eye' mode and get the most out of your herbs. NO NICOTINE! 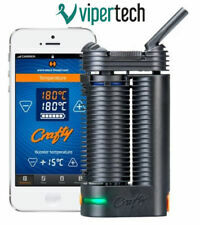 - 1 x Crater 420 Portable Vaporizer with all the accessories. - 3 in 1 vaporizer, fit for dry herb, wax, and oil. CRATER portable vaporizers. For the best experience in aromatherapy. - Elegant - Effective - Portable - Robust. Sapphire Vaporizer by Storm - like Spirit Vaporizer, but much cheaper! Sapphire's easy one-button operation allows the user to choose from five temperature settings between 180C and 220C, heating up in under a minute. 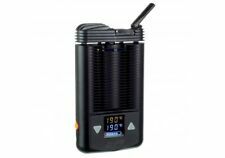 It is very similar to the previous model - the Spirit Vaporizer - but it has a fixed battery and 5 temperature settings (instead of the LCD display). 5 Temperature settings: 180c/190c/200c/210c/220c, giving all the heat you're ever going to need, and an automatic 5 min shut off safety feature to save battery and prevent overheating. The Ergonomic Soft Touch design makes holding it effortless & comfortable, especially whilst on outdoor activities such as walking, bike rides, etc. Highly rated premium quality Nokiva Vaporiser - Black. Nokiva Vaporizer. Advanced OLED Display Screen. High-Tech Full Ceramic Heating Chamber. Slim and Sleek Compact Portable Design. Extra Mouthpiece With Glass Tube. Vapormate V2 Only £54.99 ! Vapormate V2. 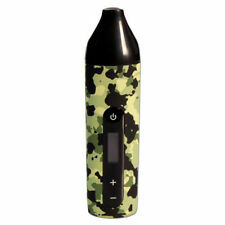 Vapormate V2 Vaporizer (Black). Worth checking out the Vapormate Video Review on YouTube ! Authorized Distributors of Xmax Products. Adjustable Temperature Settings by Degrees. DynaVap 'M' Shadow Manual Vaporizer. 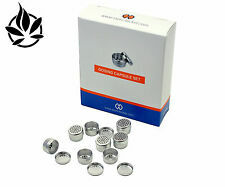 Heat the VapCap in a quiet area, listen and feel so you know what you are looking for. If you are using a torch lighter, this should not take more than 5 or 6 seconds. 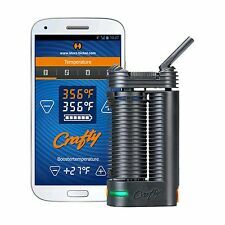 1 x Crater 420 MINI Portable Vaporizer with all the accessories. CRATER portable vaporizers. For the best experience in aromatherapy. This product does not contain nicotine! - it's an empty device. 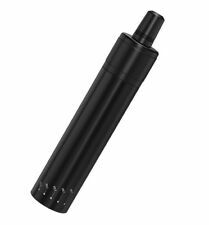 Focusvape Pro S. Focusvape Pro S Vaporizer (Black). Dry Herb Vaporizer. Adjustable Temperature Settings by Degrees. Temperature Conversion between C and F. Temp Range. Auto Cut Off. Silicone Mouthpiece Cover.